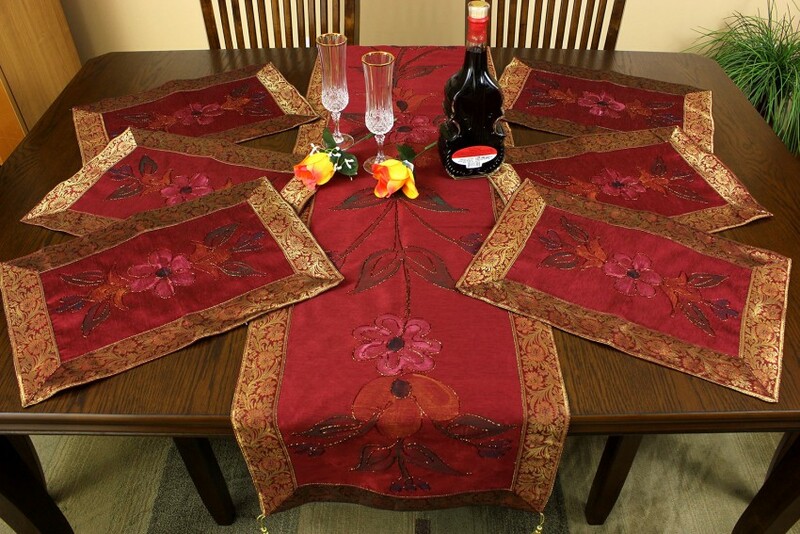 Discover the beautiful and luxurious Hand Painted 7-Piece Placemat & Table Runner Set from our exclusive Banarsi Designs collection. 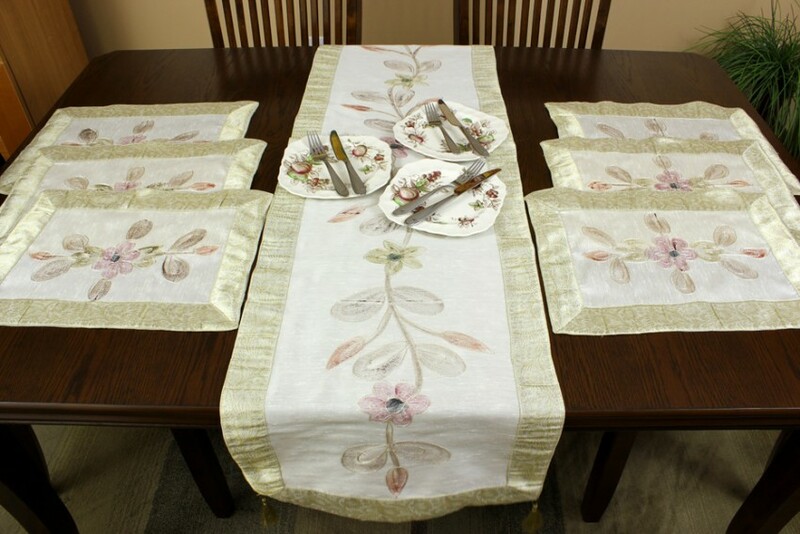 Discover the beautiful and luxurious Hand Painted 7-Piece Placemat & Table Runner Set from our exclusive Banarsi Designs collection. 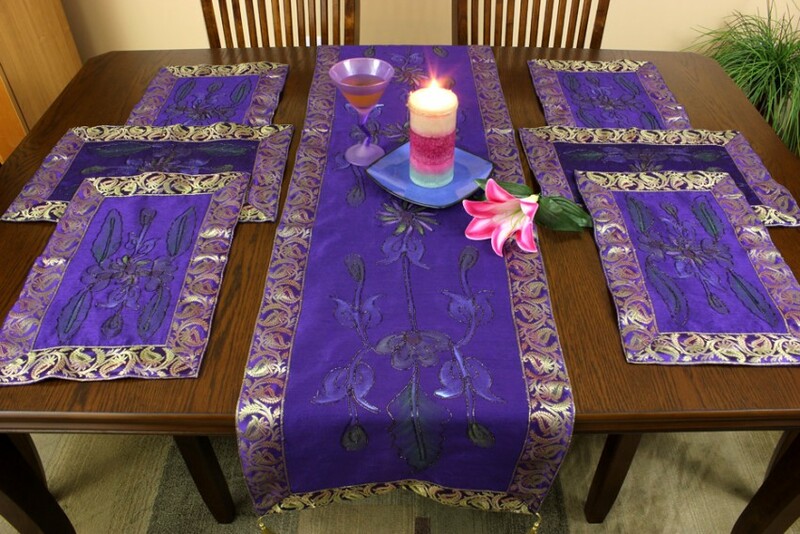 This unique set has been crafted in India with beautiful floral hand painted strokes over shimmering dupion satin fabric, embellished with shiny thread. 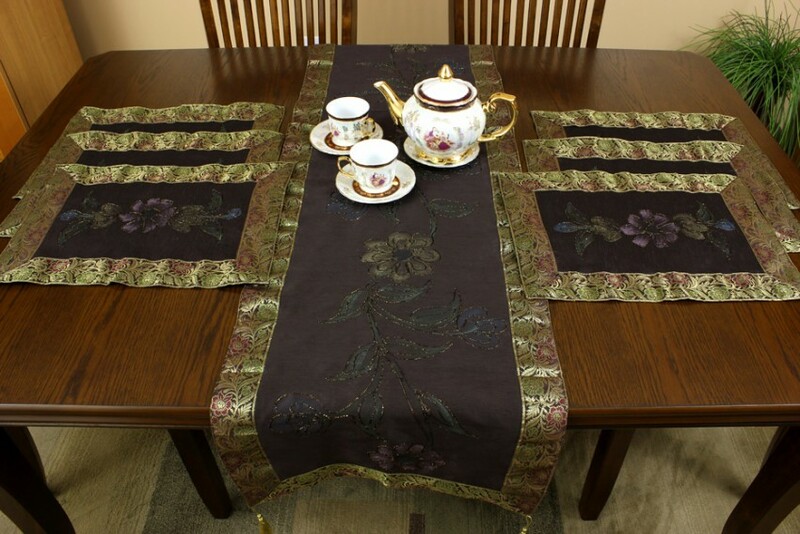 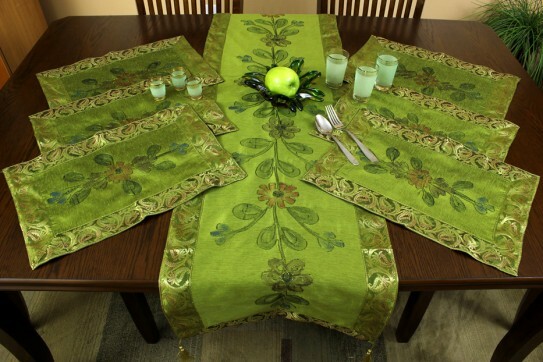 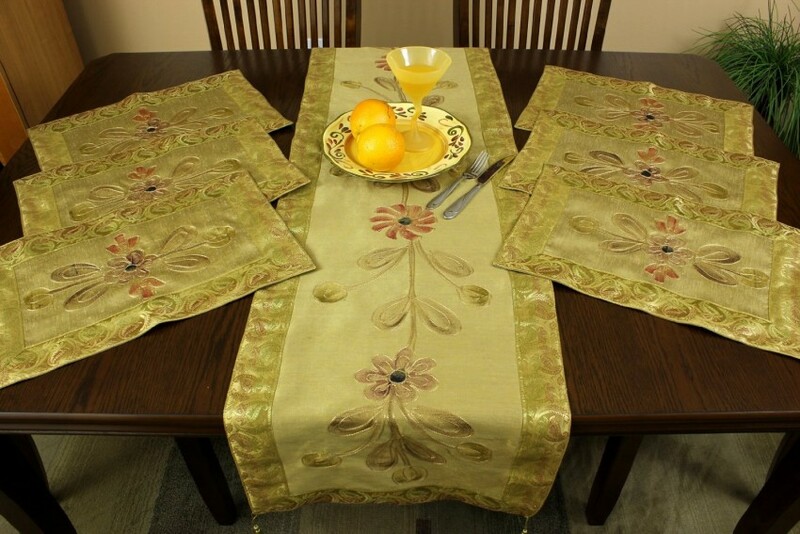 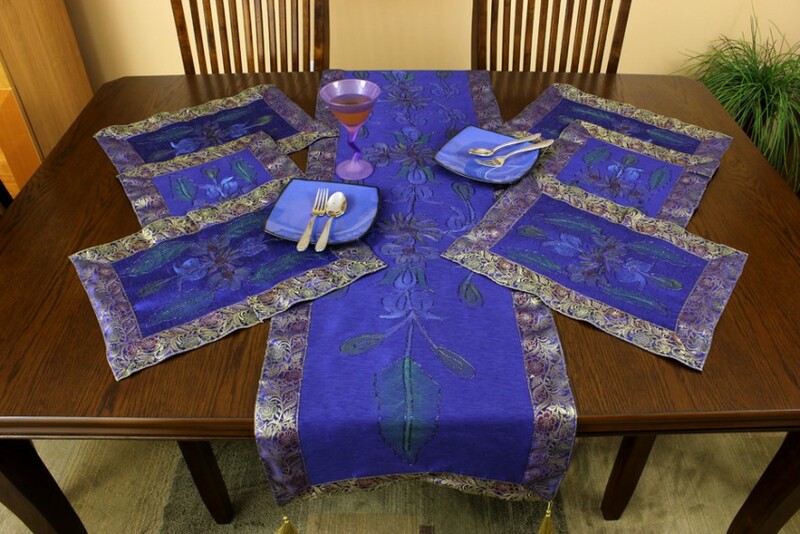 It includes 6 table placemats (17 x 12 inches each) and 1 matching table runner (70 x 16 inches). 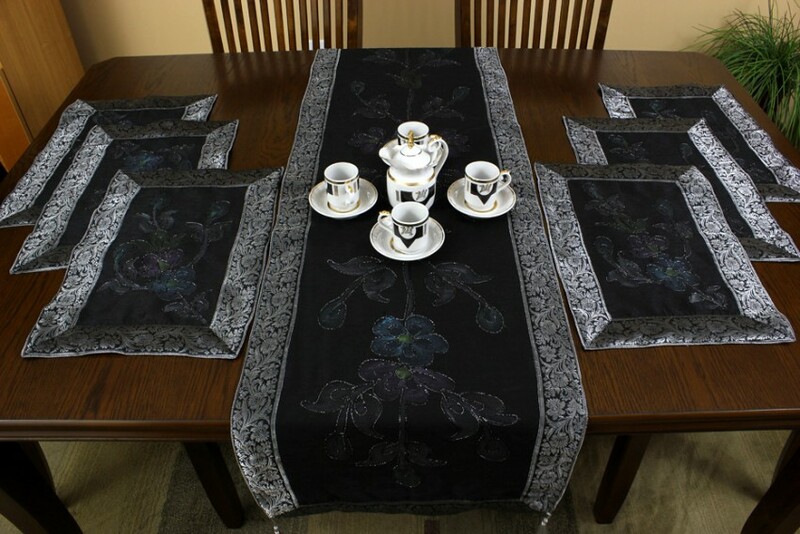 Our placemat & table runner set can be arranged in many creative ways to beautifully complement your dining tables, dressers, cabinets, wardrobes, television stands and coffee tables.